UPS drivers are facing a contract with huge proposed concessions negotiated by James Hoffa. The only way to protect their living standards is to vote "no." A UPS facility in Redmond, Washington. Atomic Taco / Flickr. One of the most contentious union contract battles in decades is entering its final weeks at United Parcel Service (UPS). Teamster General President James P. Hoffa has pulled out all stops to ratify contracts at UPS and UPS Freight in the face of opposition across the country. Campaigning by Hoffa and opponents led by Teamsters United and Teamsters for a Democratic Union (TDU) will continue down to the deadline for voting on October 5th at 8:00 PM EST, and the results will be announced that night. Teamster activists I’ve spoken to predict a close vote at the much larger UPS package division. They also predict that the separately negotiated national UPS Freight contract will be defeated. Balloting materials were mailed out to UPS Teamsters last week. There is much at stake for all sides involved in the current contract battle. The latest contract proposals continues Hoffa’s two-decade reign of weakening the union and working conditions at UPS and UPS Freight. A strong “no” vote by the rank and file will send a message that UPS Teamsters are willing to fight. Whether Hoffa will listen is a separate issue. UPS is the largest Teamster employer and the largest private-sector union contract in the United States, with 260,000 members at UPS package division and another 15,000 at UPS Freight. The package division’s fleet of chocolate-brown delivery trucks are a familiar sight across the United States. UPS is still the top dog in the American logistics industry, but it is facing stiff competition from non-union Amazon. 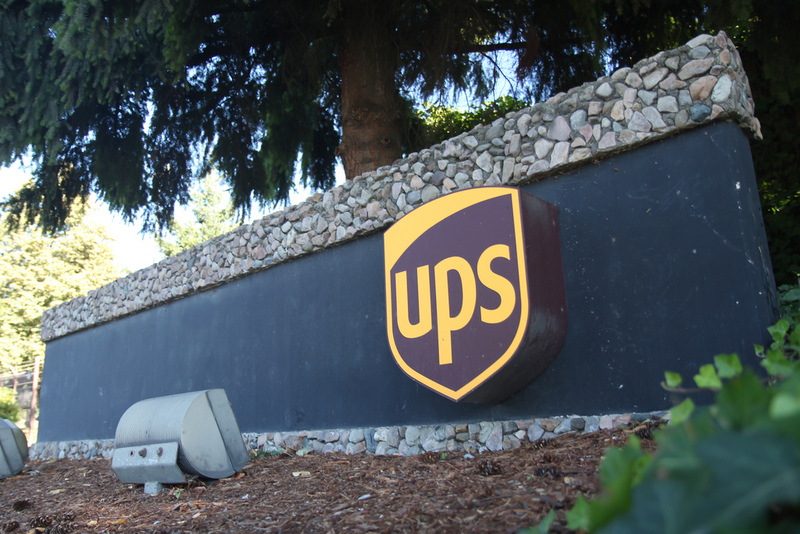 Hoffa and UPS both hope for a quick ratification to avoid the embarrassment suffered during the 2013 contract vote, when UPS Teamsters nearly voted down the proposed national deal. The major point of contention in 2013 was health care concessions while UPS was making record profits. While Hoffa survived the national vote, he was then caught off guard when UPS Teamsters repeatedly voted down local supplements (mini local contracts that cover issues not addressed in the national contract), which in turn stalled the implementation of the national contract for ten months. Stunned by the unexpected opposition five years ago, a frustrated Hoffa imposed the national contract and local supplements on an unhappy membership. UPS was ecstatic. Hoffa, however, nearly lost his job. In 2016 Teamster members came within a few thousand votes of kicking him out of office: seventy percent of UPS Teamsters voted against him. Hoffa hoped to avoid a similar web of problems this year. However, the lesson learned by Hoffa was not to fight unnecessary concessions demanded by UPS but, according to some union activists I’ve talked to, to hire the public relations firm of Berlin Rosen to sell their future contracts to the membership. In Hoffa’s head, it’s all a PR problem. Seemingly unable to learn from his past mistakes, Hoffa has not only caved on UPS’s demands for more concessions again in 2018, he and his chief UPS negotiator Denis Taylor proposed the mind-boggling concession of creating of a new category of “hybrid drivers.” These so-called “Article 22.4” drivers (named for the section of the contract they fall under) would deliver ground packages part-time and fill out their shift with other work. They would earn a much lower pay scale, would not be guaranteed a forty-hour work week, and wouldn’t make overtime pay for weekend work. With union leaders proposing such giveaways, who needs bosses? UPS has long dreamed of breaking up the 80,000 full-time package car jobs at the core of the Teamsters at UPS — and one of the last bastions of high-pay, full-time jobs for working-class people in the United States. Hoffa and Taylor did the dirty work for the company by proposing this hybrid driver scheme; they’ve tried to sell it to the UPS Teamster membership as a solution to the crushing burden of excessive overtime that package car drivers cope with daily. The most obvious solution to excessive overtime is to negotiate for more full-time drivers and abolish the four-year progression in package car pay, but that seems beyond the thinking of the Hoffa administration. Teamsters United (TU), the reform slate, called the hybrids “the worst giveback in UPS history.” TU, led by Louisville, Kentucky-based Teamsters Local 89 president Fred Zuckerman, nearly defeated Hoffa in the 2016 Teamster election. Denis Taylor struck back at Teamster critics of his hybrid driver proposal — Avral Thompson, John Bolton and Matt Taibi — by removing them from the UPS national negotiating committee. Taibi and Thompson also ran against Hoffa on the Teamsters United slate in 2016. Thompson was elected to the union’s general executive board, along with one of six regional vice-presidents from the Central Region and the South. Hoffa desperately needs a win at UPS to burnish his tarnished image. He’s never been the most popular of Teamster leaders, though his political machine has won him five elections. During his decades in power, Hoffa has relied heavily on a bloated communications department to pump up his image. The son of the infamous Teamster leader Jimmy Hoffa, he’s always struggled to fill the much-mythologized legacy of his father. Hoffa is not expected to run for reelection in 2021. If he can’t get a national contract ratified at UPS, it would also tarnish any anointed successor. But a victory for Hoffa is not a victory for the Teamster membership. Zuckerman’s Local 89 in Louisville represents nearly 10,000 UPS Teamsters at UPS’s mammoth Worldport, the company’s global air operations headquarters that deliver packages to over 200 countries a day. Zuckerman came within six thousand votes of defeating Hoffa for the top spot in the union in 2016 and has continued to lead the opposition to Hoffa’s policies since the election. He’s been joined by Sean O’Brien, the president of Local 25 in Boston and an International vice president. O’Brien had been a steadfast Hoffa loyalist. He was appointed director of Parcel division of the Teamsters and chief negotiator for the UPS national contract after the 2016 election. He took up the job with enthusiasm, but he made the fatal mistake of reaching out to Zuckerman for advice and support in the run-up to national negotiations. Hoffa fired him a year ago and replaced him with Denis Taylor, a Baltimore Teamster leader and Hoffa loyalist . Zuckerman and O’Brien plan to run as a team for the international leadership of the Teamsters in 2021. In the meantime, they’ve worked to defeat the proposed national contract at UPS, along with TDU, the longstanding rank-and-file reform movement. At the Teamsters August 9 national “two-person” meeting in Chicago—where two representatives from Teamsters locals that represent UPS workers meet to recommend or not the proposed contract —Zuckerman and O’Brien spoke out against the UPS and UPS Freight contracts. O’Brien called for a roll call vote — which would record each representative’s vote, unlike a voice vote — on both contracts. His call was denied, allowing local officers to hide their endorsements. Both contracts were recommended by a large majority of the officials present. Sentiment is widespread among UPS Teamsters to take the fight to the company. On June 6, Denis Taylor reported that over 90 percent of UPS and UPS Freight Teamsters voted to authorize a strike. Two days after the meeting in Chicago, five thousand UPS Teamsters participated in a Vote No Telephone Town Hall meeting organized by TDU and Teamsters United. Zuckerman and O’Brien both spoke against the contract and pledged to organize a national “Vote No” campaign. Instead of using the strike weapon, or, at the very least, preparing the membership to fight, Hoffa and Taylor have undermined it and given UPS a contract extension in order to work out their common plans for selling the two contracts. In May 2012, UPS Teamster Mark Timlin, a New Jersey-based Teamster activist, started the “Vote No UPS Contract” Facebook page, he told me, “out of pure frustration.” The page has played a key role in disseminating information and organizing against the national UPS contract supplements. Not to be outdone this time around in social media, the Teamsters leadership launched the “UPSrising” app and Facebook page. It has helped spread Hoffa and Taylor’s views on UPS negotiations and selling the proposed contract. It has also proven extremely clumsy. Hoffa’s Package Division and UPSrising have sent members nationwide an email and leaflet that uses photos from the internet to impersonate UPSers and fraudulently promote contract givebacks. Hoffa and Denis Taylor are having such a hard time finding real UPS Teamsters who support their contract givebacks that they have resorted to using fake photos and phony membership testimonials. Meanwhile, rank-and-file opponents of the contract have continued to use social media to oppose the proposed contract. Tyler Binder’s videos have become something of a YouTube sensation. Binder, a UPS package driver in Wisconsin, captures both the anger and frustration of watching the Teamsters give away unnecessary concessions. His “UPS Generation X” has been watched nearly 19,000 times on YouTube and circulated many times that number on Facebook. TDU’s videos addressing part-time poverty and hybrid-drivers have proved equally popular. A pathetic attempt to “debunk” Tyler Binder was made by a pro-Hoffa staff member of Teamsters 174 in Seattle, someone who has never worked at UPS or was ever a working Teamster. The one question that should have informed every step of the process of national UPS negotiations this year is, can we use this contract to organize FedEx and Amazon? Unfortunately, the question doesn’t seem to have crossed the minds of Hoffa and Taylor. While Hoffa and UPS boast about raising part-timer starting pay to $13 an hour — with no catch-up raises — for already working part-timers making less than that, this essentially matches Amazon existing pay structure. Bernie Sanders has made poverty pay and horrendous working conditions for Amazon a national issue. If Hoffa’s only contribution to this discussion is to match the poverty pay levels at Amazon, this isn’t going to inspire Amazon workers to risk their jobs and livelihood to join the Teamsters. The Teamsters are in a precarious situation in the burgeoning logistics industry because of the massive growth of non-union Amazon, which may supplant UPS, the largest Teamsters employer, as the industry leader. But everything should favor the union’s massive growth. E-commerce is booming, ensuring that employment at all of the big logistics giants — UPS, FedEx, Amazon, and the U.S. Post Service —will keep expanding. If the union plays its cards right, it could expand along with it. Voting no is the first step to defeating Hoffa’s concessionary contract. But can Teamsters trust Hoffa and Taylor to return to the bargaining table and deliver a better contract? It’s doubtful. In a year in which the strike weapon has returned as an effective weapon of the U.S. working class, the question that must be asked: Can Hoffa be forced into calling a national walkout, and if not, what are the reform leaders prepared to do? UPS, like every boss or major corporation, only understands power. It’s time for the union to use the rank and file’s power. Will There Be a Fightback at UPS?